Yesterday I was stuck with some coding I was doing lately and I googled for the solution, not to my surprise there were some Quora pages on the top of SERP. I opened a link and after an hour or so I realized that I was totally forgotten what I was looking for in fact instead of searching for the problem I ended up in learning couple of new things about Digital Marketing by reading a few blogs. And that’s the true power of Quora. 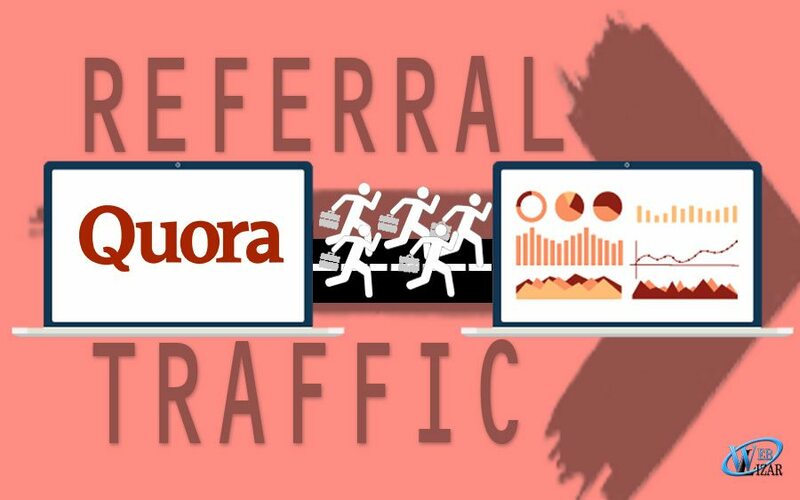 Quora can help you gain 9,000+ users in a month through referral traffic and it can be more depending on how active you are or if you have a team of professionals doing the Quora task for you. You’ll get so much information on Quora related to your business niche and that is actually a good sign to leverage traffic to your website from Quora. You know your business best and if anyone needs any help out there and you have something to offer in form of a blog post of your website which sorts the problem of the user, you can redirect the traffic back to your site from Quora. Biggest debate, Is Quora sufficient for gaining traffic and building your website’s SEO? Well I would rather say NO, because there are so many social media out there through which you can gain an enormous amount of traffic so you don’t have to be dependent on Quora alone plus as far as SEO of the site is concerned, getting traffic through referral from Quora doesn’t weight much in SEO but yeah it solves your biggest problem. Gaining Traffic! How Quora Can Help You Gain 9,000+ Users In A Month? You’ll need a couple of things before you start. You should have in-depth content since users want a compelling reason to visit your website and that is content, fresh genuine useful content. Time to spend on Quora. The referral traffic isn’t going to rush in after a couple of hours of clicking buttons and pulling levers. You’ll need to spend time cultivating your presence on Quora and building a personal brand. Quora is a place where credibility is king. Now, let’s start with the steps to follow on how Quora Can Help You Gain 9,000+ Users In A Month. #1: First things first, Join Quora ASAP and fill out your details. First, you’ll select all of the broad areas that you’re interested in. This informs Quora as to what kind of content to show you. Second, you’ll tell Quora what topics you know about. 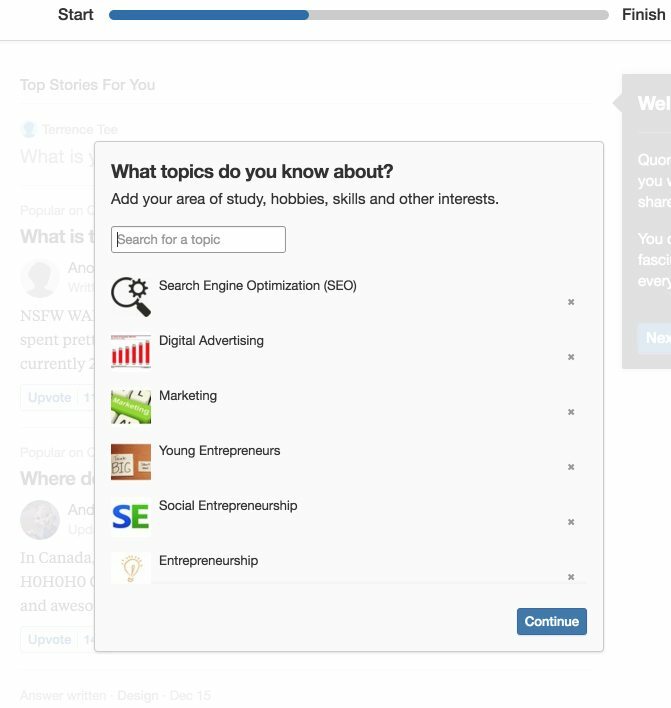 As you begin typing the topics in, it will populate the search field with relevant topics. I recommend choosing the topics that contain the most followers.Once you’ve added a few topics, you’re ready to go on to the next step — filling out your profile. It’s important to be as thorough as possible. There is a lot of information that you can add. The more you fill out, the better.Keep in mind that your profile is designed to build trust and credibility. You don’t need to sell yourself and your services as much as you need to emphasize that you are a trustworthy and capable person. 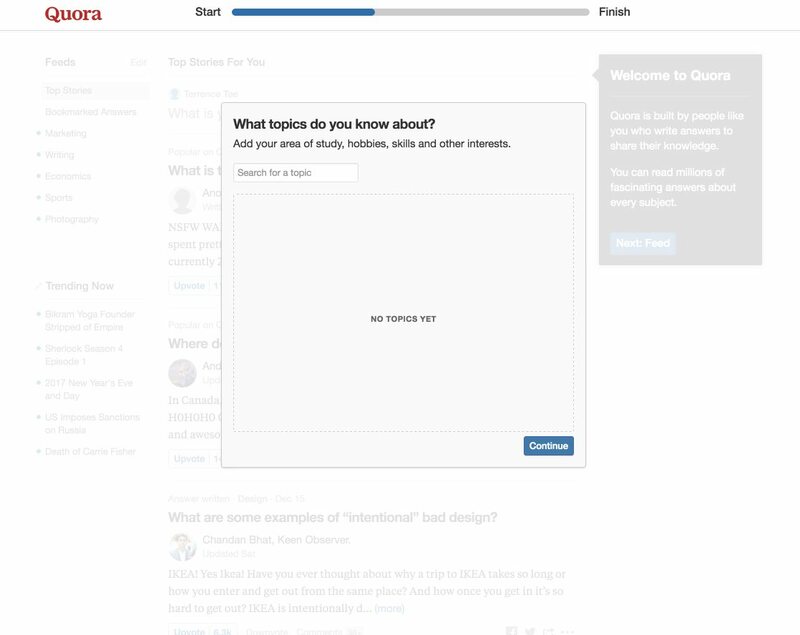 #2: Create a Quora blog. The topic of your blog should be directly in line with the content on your website and the area of authority you’re trying to build. You’re trying to create credibility and demonstrate your expertise. How much should you keep up with this blog? It’s up to you. The reason why I recommend it is because it adds an extra layer of trust, authority, and credibility to you as a Quora contributor. Using the Quora interface, you have a variety of text formatting options, images, quotes, coding and even math equations- all available to use. The more questions you answer, the more visibility you’ll receive on Quora. Gradually, you will build up your stats, including views, upvotes, and shares of your content. #4: Link to your blog in the questions that you answer. Here is where we try to act smart for gaining referral traffic. This is important: Whenever possible, link to your website’s blog articles within your Quora answer. When you create the link, you have the option to turn it into a footnote or into an actual hyperlink. I recommend using the hyperlink option (do not click “footnote”) because doing so will provide a better chance that people will click on it. Now, for my sermon on linking to your blog. In two words, this is it: Be careful. The point of Quora is not link building or driving referral traffic. The point of Quora is providing answers for others. It’s a community where professional, intelligent people get together to learn from one another. Your goal as a Quora contributor is to provide value. In this way, it’s not much different from conventional long form content marketing. In content marketing, your goal is to give something of value to other people. For example, why do I write these super long, detailed, step-by-step blog articles? Answer: Because I want to give you value! The same thing is true on Quora. Your number one goal is to give value. If you do, then you’ll enjoy the secondary benefits of a strong personal brand and awesome referral traffic. How exactly should you link to your blog? The first looks natural, value-added and important. The second looks more self-promotional and not natural. Don’t promote yourself and your site, try to be helpful instead. It’s a good idea to add links to other websites as well. That way, it doesn’t appear as if you’re only trying to get traffic to your site. The way to get views and upvotes is, obviously, by answering questions. But, you also have to answer questions really well. Finally, you have to answer questions that will position you to gain the most visibility and upvotes. There are several ways to find the best questions to answer. At first, you can click the “Answer” button in the top menu and select answers that have been curated for you, based on your areas of expertise. Also if you would care to know How To Increase Your Facebook Page Post Reach or Promote Your Business On Twitter. And to manage your social media more better, Read Social Media Management – Tips To Improve Results. I’ve been Surfing for a month and Studying articles or blog posts throughout the internet that have landed me here I have some issues About marketing and promotion. Your information helps me a lot please keep updating this.